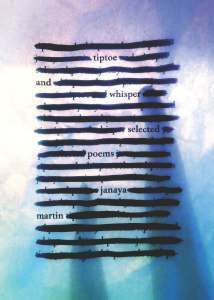 Janaya Martin is a poet and mother of three. Between poems, raising children and amateur gardening, she works full-time at the University of Minnesota and hosts a monthly reading series, Writers Read, in NE Minneapolis. Her poems have appeared in Oddball Magazine, The Grief Diaries, The Real Us and AutoAnatta. ​Tiptoe and Whisper is her first book.